A&W is coming to Promenade. They will be opening soon on the Lower Level in the Food Court, next to Tim Horton’s. Popeye’s Chicken is coming to Promenade. They will be opening soon on the Lower Level at Entry #3, next to Promenade Travels. New York Fries is coming to Promenade. They will be opening soon on the Lower Level in our Food Court, next to Subway. Visit them on the Lower Level between Things Engraved and Moshe Fine Jewellery. Visit them on the Lower Level next to Moshe Fine Jewellery and Entry #3. Sushi-Q is now open. Visit them on the Lower Level between Centro Cafe and Dr.Laffa. Mo’s Golden Pretzels is now open. Visit them on the Lower Level next to Foot Locker. Shumaker Shoes is now open. Visit then on the Upper Level between Blink Blank and Guess. Royal Luxury Bedding is now open. Visit them on the Upper Level next Women’s Fitness Clubs of Canada. Simply open your browser on your device with your wifi enabled and log in for unlimited access – it’s that simple! 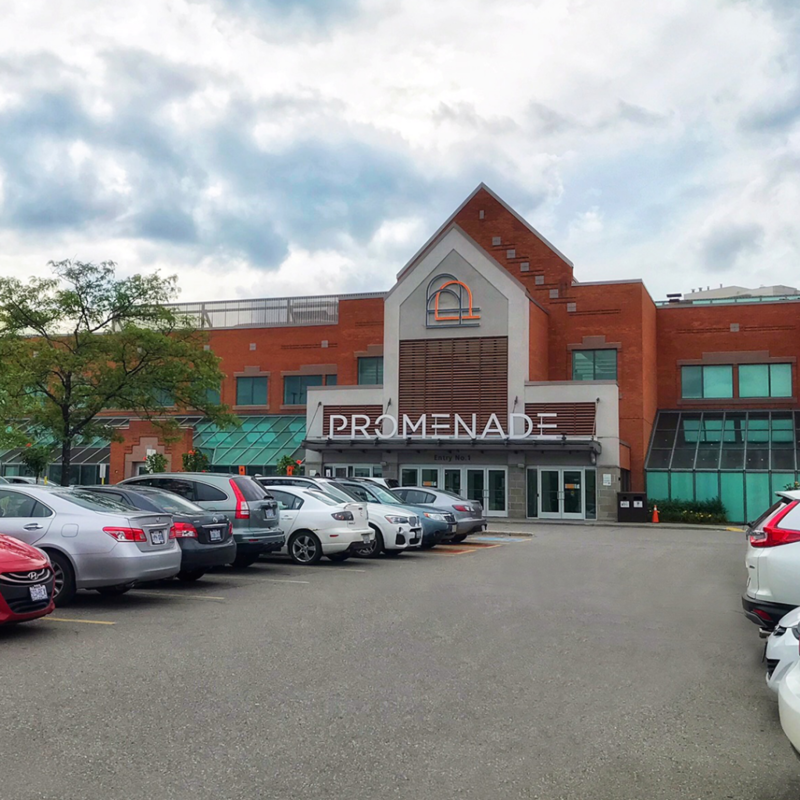 Premiere shopping in the heart of Vaughan. Find it all! With over 150 stores including premium brands like Coach, Artizia, Pandora and much more. Discover your style today!